Saint Seiya: Soul of Gold has an original soundtrack that emphasizes the hardships that the gold saints have to endure. Keep on reading to learn more! Music is way more than a combination of silence and sound… music is a language in itself. When combined with images, music can define the emotions expressed through a specific situation. Great movie directors have relied on incredible soundtracks to set the mood for their stories. Take Quentin Tarantino for example (director of Pulp Fiction, Inglorious Bastards, Django Unchained, and many other movies). 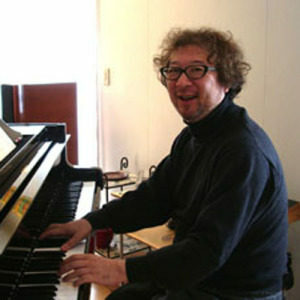 Even though he usually uses popular music on his soundtracks, he always selects the best pieces for each mood he's trying to convey. When a movie combines images and music appropriately, it can even make you like a song that you didn’t enjoy before. This also applies to anime, and Saint Seiya: Soul of Gold is a perfect example. The soundtrack was recorded in Sound Inn Studio, and was produced by TV Asahi Studio on March 12, 2015. 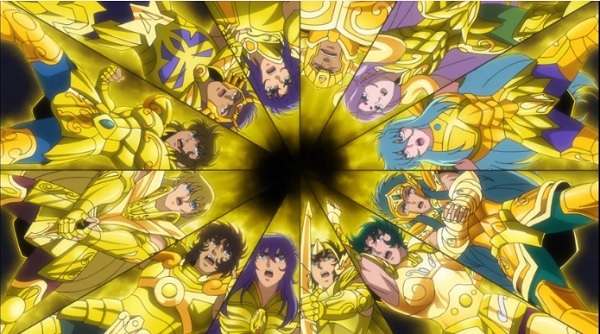 Saint Seiya: Soul of Gold opens with the 12 gold saints sacrificing themselves to destroy the Wall of Grief that blocked the way to Hades. 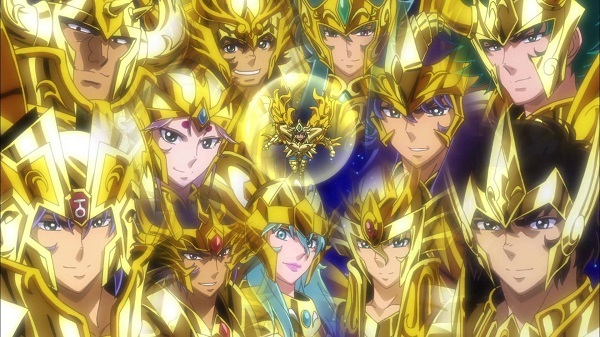 In despite of their differences and confrontations, the gold saints united as Athena’s warriors. This moment of supreme courage was accompanied by "Soul of Gold" (video below), a triumphant march that relied on powerful trumpets to glorify the saints fighting spirit. After their death, the gold saints mysteriously appeared in Asgard, a land where the bronze saints had already fought. Their new lives were a complete incognito for them, so they didn't react to it in the same way. 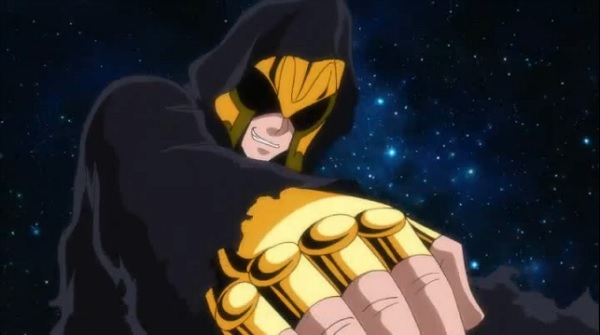 Death Mask initially decided to relax and enjoy his new freedom, so he immersed in the local town of Asgard. His chilled attitude is accompanied by "Asgard" (video below), a piece of folkloric strings that portray the context in which he is involved. Even though the gold saints are the strongest of Athena’s soldiers, they do have a back story that can bring deeply hidden memories. During his adventure, Aiolia had to confront with a ghost from the past, which made his will stutter because it brought his painful childhood to light. Critical moments like this are accompanied by "Crisis" (video below), a fast paced and stressing rhythm that relies on violins to emphasize the upcoming dangers. Being a gold saint is not an easy task, it comes with a lot of pain and sacrifice. However, as Athena’s soldiers, they are more than willing to throw away their lives in order to achieve a greater good. Sacrifice opens the path to triumph, but it also leaves a trail of suffering. These sad moments are expressed by "Yasashiki Saint" (video below), a melancholic melody which reminds us that fighting for peace can be extremely painful. 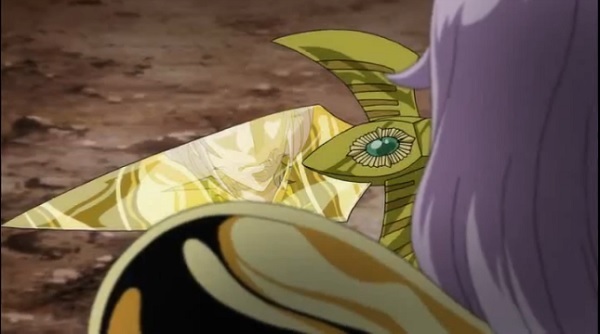 The OST of Saint Seiya: Soul of Gold emphasizes all the emotions and values that are expressed throughout the series. Don’t forget to check it out! As a bonus, here's a video for the Opening Theme of this epic anime to bring out your inner saint!